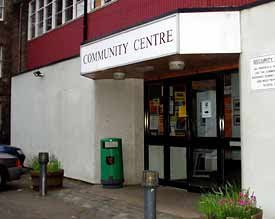 Tollcross Community Centre is part of a Community Wing attached to Tollcross Primary School. The Centre provides a base for numerous local and city wide groups to meet up socially and participate in a range of learning, recreational and creative activities. The space consists of a reception area, an office, and five rooms: three meeting/teaching rooms, one art room with a darkroom and one general purpose/crèche room with a kitchen atttached. The Centre is located on the ground level. When you enter the school yard from the street, the centre is the first entrance on the right. The Primary School and Gaelic School are located to the left of the Community Wing. Visit the website at Edinburgh City Council.